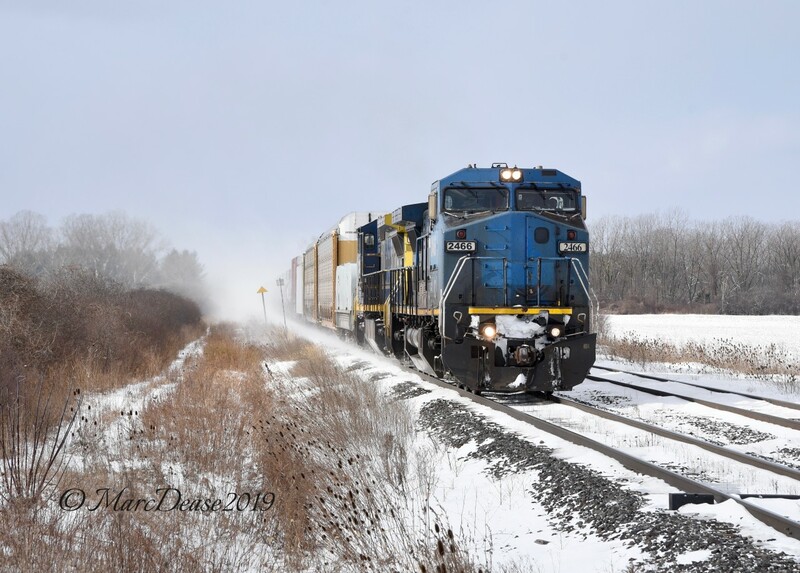 Railpictures.ca - Marc Dease Photo: IC 2466 with GECX 7344 lead Train 394 east out of Sarnia, ON., at Telfer Sideroad. | Railpictures.ca – Canadian Railway Photography – photographie ferroviaire Canadienne. Caption: IC 2466 with GECX 7344 lead Train 394 east out of Sarnia, ON., at Telfer Sideroad.